Dubai South, the area encompassing Al Maktoum International Airport and the Expo 2020 site, is forecast to see increased residential developments next year and 2019, as well as an uptick in prices as off-plan sales more than doubled in the first seven months of this year. “We opine that off-plan sales will continue to rise as the community gears up for the World Expo 2020, and as developers increase their offerings in this area to cater to the latent demand inherent,” said Reidin. 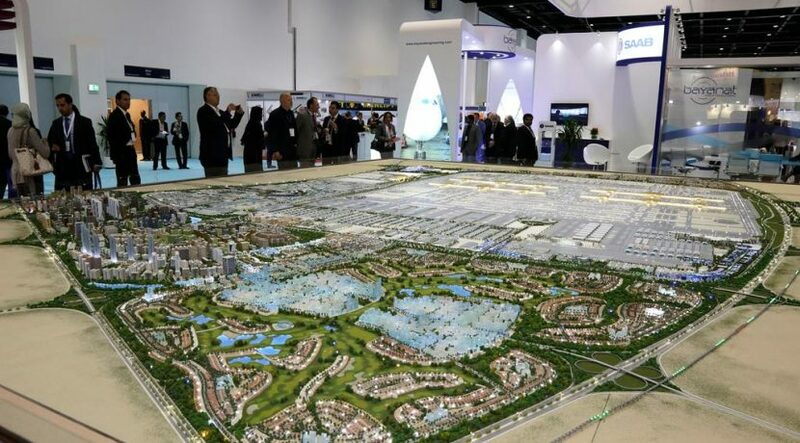 Dubai South, formerly called Dubai World Central, is the master planned “aerotropolis” being built on a 145-square-kilometre site on Dubai’s southern border. It contains the Al Maktoum International Airport destined to become the hub for Emirates and flydubai in the future, the Expo 2020 site and a major logistics district. Since 2014, about 6,160 units have been launched in the area, with an additional 28,000 units in planning stages, Reidin said. According to Reidin’s analysis of off-plan sales since 2015, more than 60 per cent of sales were for one and two- bedrooms and the pricing has been within the “affordable” segment of the market, compared to the areas in the city. Lootah Real Estate said on Sunday it had signed a deal with Dubai South to develop more than one million square foot of housing units in the area’s residential district over phases, state-run news agency WAM reported. Some of the biggest developers are undertaking projects in Dubai South. Developer Damac completed its first project in the area in October and MAG Property Developments is building its MAG 5 Boulevard project. In January this year, developer Deyaar signed an agreement with Dubai South to roll-out a new 1.27 million square feet mixed-use project within the district’s residential zone. Emaar Properties, the developer behind Burj Khalifa, has also partnered with Dubai South to develop six districts containing more than 15,000 homes around an 18-hole golf course.